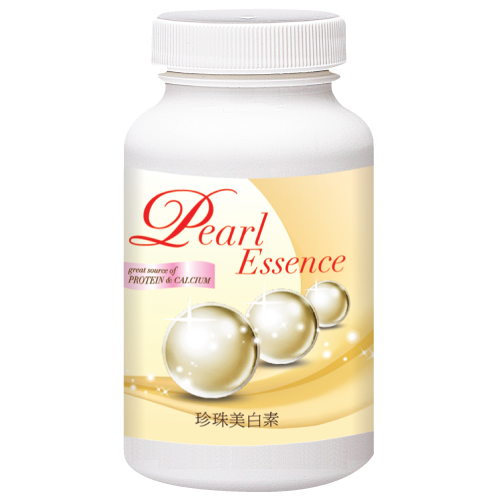 French scientists have proven that pearl powder can reduce calcium loss. Chinese scientists have also discovered that calcium from pearls is more easily absorbed by the body than calcium from most commercially-available tablets. Pearl powder, an ancient noble beauty secret that has been used for over 3000 years for lustrous, pure, beautiful skin...a treasure that was used for centuries by Egyptians, Chinese, Mayans, and Indians for health and youthful vitality, as well as for skin beautification. In the thousands of years of Chinese traditional medical history, pearls have been researched, used, and recorded. In general, pearl powder is a finely-milled powder from quality natural pearls, and it is naturally compatible and easily absorbed by the skin and body whether taken internally or applied topically. Effects of pearl were recorded by at least 19 TCM books, including the famous Compendium of Materia Medica written by Li Shizhen (1518-1593) in the Ming Dynasty and renowned in the world. For Internal use: Take 1-2 capsules twice a day with a full glass of water. Mix 0.5g pearl powder with egg whites until the pearl powder dissolves. Apply it onto the face for 15-20 min, then wash face with warm water. 500 ?? x 60 ?? ?/?